Attached to the Rising Star record shop and run by music entrepreneur Cecil Morris, R.S.E. put on a number of events featuring the reggae bands from across the city. 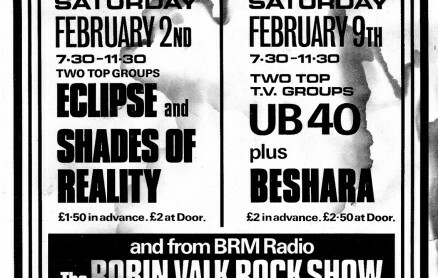 This poster is advertising two gigs at The Digbeth Civic Hall feat Eclipse & Shades of Reality and UB40 & Beshara and was sent in by UK Vibe founder Steve Williams.